I sometimes peruse “This Day in History,” while searching for inspiration or, at the very least, a good piece of trivia. 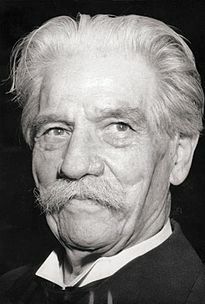 Yesterday, it turns out, was the day that Albert Schweitzer, the Nobel Prize winning physician and philosopher was born. As I read about him, I found the inspiration I needed from his quote: The only ones among you who will be really happy are those who will have sought and found how to serve. That statement rings true to me, the organization I work for and for our new partner home. Our newest partner home, the Christ Faith Home for Children, is a very special place that has truly sought and found how to serve the vulnerable. Through my work for Kitechild, I’ve gone from a superficial understanding of vulnerable and orphaned children to a much broader perspective that has shifted my focus from simply helping others to supporting communities to be empowered. Similarly, the mission of the Christ Faith Home is to care for the vulnerable members of their community, by attending to their immediate needs and by supporting them to go on to live fulfilling, independent lives. 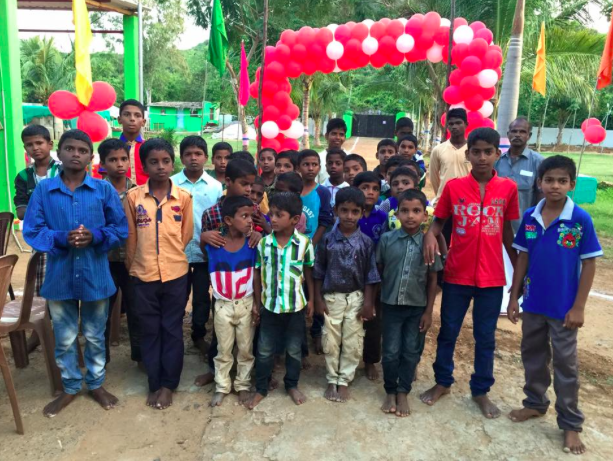 Located in Chennai, India, the Christ Faith Home is a secular NGO that works in a multi-faceted way to care for all the disadvantaged members of their community including children, the elderly, the ill and women. Their ideology is based on the proverb: “Give a man a fish and you feed him for a day; teach a man to fish and you feed him for a lifetime.” They work with orphaned and vulnerable children through housing, adoption and educational programs. Like their other programs, such as medical and women’s welfare, their emphasis is on the long-term goal of self-reliance. 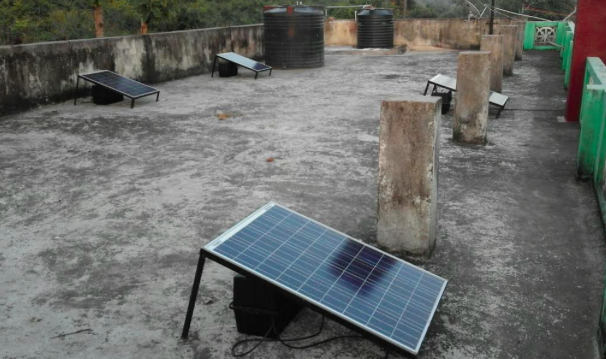 We have installed solar panels at the Peace Garden, their home for 35 boys. This home provides food, shelter and an education to the boys until they reach an age Their electricity bills are a monthly burden for them, so by alleviating that cost, the home can instead spend their money on more nutritious food and the education of the children. The boys are cared for until they graduate school and the home works to aid them in their higher educational pursuits and finding them jobs, so that they can live vibrant adult lives. We are so excited for this new partnership and hope that, together, we can continue to serve vulnerable children around the world and continue to bring about lasting change. 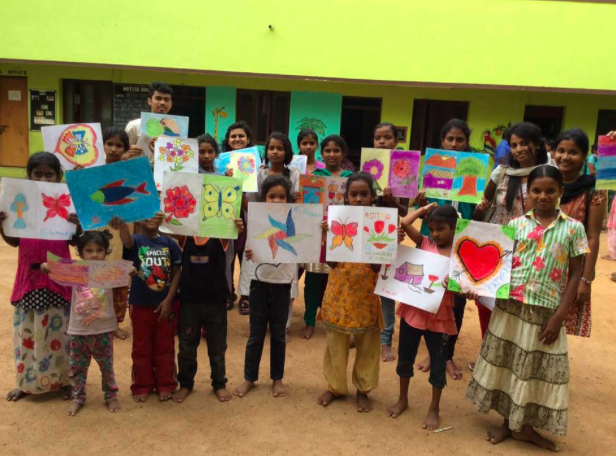 A #tbt to a beautiful day in India with the beautiful kids at the Ashirvad Home. The home now generates income through our chicken farm project and the profits fund better nutrition and education for the children. Now that’s something to smile about! Children are recommended to get 1-2 cups of fruit daily and now the kids at the Fiwagoh Home are! Thanks to our greenhouse project these kids are growing healthy from fresh fruits and veggies… and the added bonus is that the extra produce is sold and those profits are going towards hiring extra caretakers at the home! I stared at that paragraph and re-read it maybe around 8 times, trying to follow the numbers and volts and watts and see how they were actually related, but it was all Greek to me. One of the coolest parts of my job is the amazing knowledge I gain when researching and structuring our projects on the ground. One day I’m looking up the life cycle of a Tilapia, another day I’m researching virus and disease in tomatoes, and the next could be propagation of water born illnesses in unmaintained wells. Some of the stuff is random, but it’s all fascinating and challenging. Books, Google, and research papers aren’t enough though. After we had a setback in one of our solar projects in Liberia, due to our lack of understanding the principles of such an installation when it came down to troubleshooting, I knew we needed to be more prepared for the next time. So I called in the big guns: Engineers Without Borders. You may have heard of a similar organization, the prestigious Doctors Without Borders/Medecins Sans Frontiers. Engineers Without Borders works in the same way – expert, knowledgeable leaders in the engineering field volunteer their time and expertise to underdeveloped communities and small NGOs needing assistance with technical projects. With our new partnership, they have so far provided much needed insight on our issues in Liberia, and expert guidance on a new solar installation in Kenya. 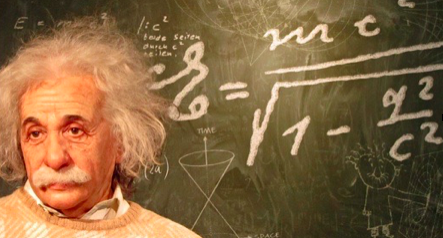 There is a saying that states “if you’re the smartest person in the room, you’re in the wrong room”. 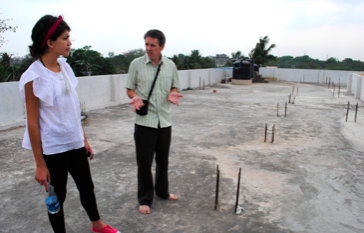 At Kitechild, we are always learning about new ways to help communities care for their vulnerable children. The work itself is rewarding, but we can always learn more from others. It is amazing to see how other people are doing their part to do good in the world by sharing their knowledge, time, and expertise to others. Whether that is engineering, medicine, teaching, etc. you never know how your job could one day do so much to improve the lives of others. There is always something more to learn, and keeping that door open and welcoming the insight of others is a crucial savvy move for any company or organization. We are very excited about this partnership and look forward to it benefitting the outcomes of our projects. Check out www.ewb-usa.org for more information. A #tbt to the St. Catherine’s home in Kenya and our successful Clean Water Access project. You can see them working the filter, which provided clean drinking water to the children at the home! We’re so excited to be partnering with them again with a greenhouse that will be targeting the nutrition and education of the kids! We will have a matching donor, who will match all donations up to $10,000! Let’s make this happen for #everychild!